When people are accused and convicted of a crime, they can expect the government to take action against them. This frequently comes in the form of sanctions like fines and jail time. Individuals and businesses can also take actions against people who have been convicted of a crime in the past. These collateral consequences of a criminal conviction are often done out of protection and can make sense—like an apartment complex refusing to rent to someone with an assault conviction on his or her record. In some cases, though, this goes entirely too far. Whether because they feel like they cannot trust someone with a prior conviction or because they want to keep “riff-raff” out of their apartments, some landlords across New Hampshire find reasons not to rent to people who have a criminal background. This discriminatory practice hurts people with a blemish on their criminal history—even if it is a small one like unlawful possession from a person’s younger year—and can prevent them from getting accommodations in choice parts of the state, on public transportation routes, or close to where they need to work. The impact of this conduct can snowball for its victims, pushing them away from their jobs and into less desirable neighborhoods. Unfortunately, this kind of housing discrimination can be entirely legal, and landlords frequently include a question about your criminal history on apartment applications. Admitting to a criminal conviction can make the landlord look for reasons not to take your application. 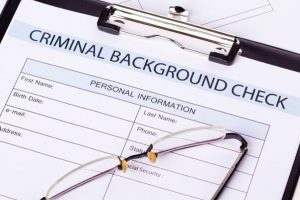 Covering it up, though, can give the landlord a reason to deny your application if they perform a background check and find the conviction. Let us fight your criminal charge. And if you have already been convicted, ask us about an Annulment. In some cases, the collateral consequences of a crime can wreak more long-term harm on your life than the direct consequences. When it comes to housing discrimination, current students and recent graduates have it the worst because it can make it even more difficult to get a professional career off the ground. This just makes it all the more important to vigorously defend against any criminal charge that is being levied against you. The criminal defense lawyers at the law office of Tenn And Tenn, P.A. in Manchester can help. Contact us online or call us at (888) 511-1010.